Mobile Ears app provides a better listening experience to people with mild and moderate hearing loss. Have you ever come across senior members of the family or neighbours who have become hard of hearing! Some of them even refuse to acknowledge they have a hearing problem. 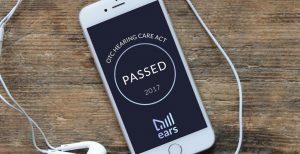 This usually happens because many people feel that it is a Taboo subject and wouldn’t like to be seen with a hearing aid. In India, 3 out of every 40 people(*1) suffer from a disabling hearing loss, according to statistics from the World Health Organization. Over 68% of them can benefit from using a hearing aid(*2), however, less than 3% of these are likely to have one(*1). The reasons can range from non-availability of a hearing aid to the high cost of diagnosis and devices to stigma and a limiting mindset towards using it in social situations. Mobile Ears is a convenient and free app-based solution for millions of Indians who have a mild to moderate hearing impairment and can benefit by making the sound loud and clear when having a one-on-one or a group conversation. Mobile Ears uses a unique speech amplification technology that ensures users hear everything clearly irrespective of background noise or number of people in the room. You can download the app here. WHO global estimates, more than the half of the Adults with disabling hearing loss are over 65 years and countries in South Asia, including India, have a high prevalence of such population(*3). Plug in earphones and move the button on the slider to personalize the sound for maximum speech clarity and amplification. “I am pursuing an MBA and currently on a 2-month internship. I find it difficult to hear everything said by the professor in my classroom, even if I sit in the first row. A hearing aid is useful but it is also extremely expensive and fragile for. 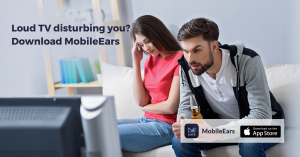 When I used the MobileEars app, the audio quality was clear and as good as my hearing aid. I was able to have conversations without interruptions. It is always on my phone and helps me understand what others are speaking. I believe it will be useful for people like me”. “Sometimes, I find it hard to follow conversations when people speak softly. My daughter has to speak up when talking to me. My neighbors always know which television soap I am watching, because I keep the TV volume on the higher side. MobileEars was extremely easy to use, I just had to wear earphones and adjust the volume. I will use it on my next bridge party with friends”.